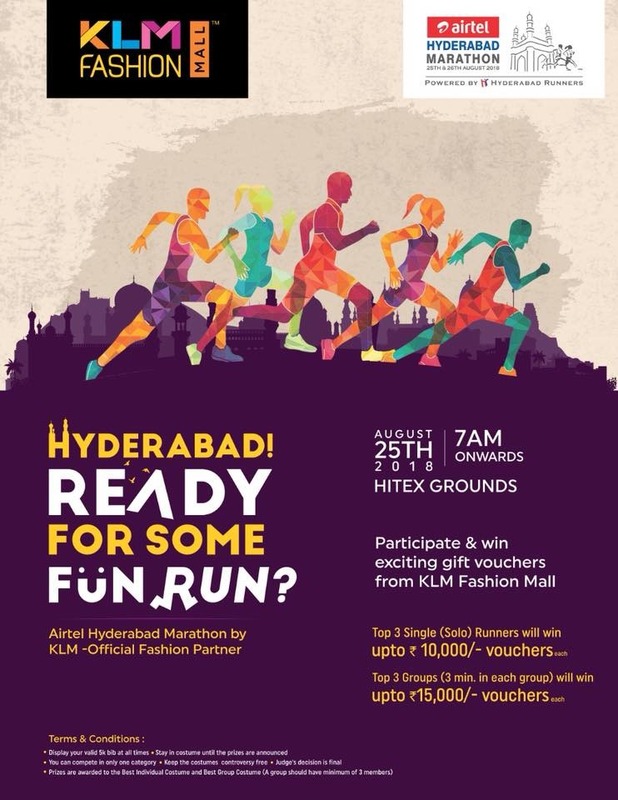 Hyderabad get yourself ready for the ultimate fun run. 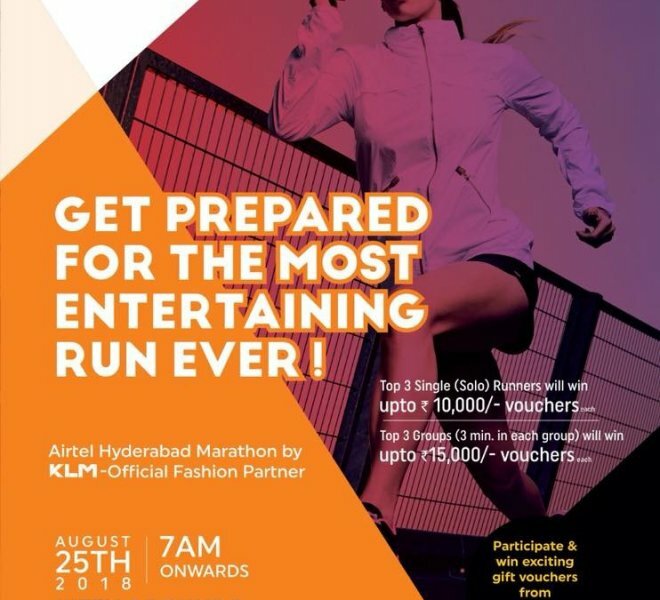 Airtel Hyderabad Marathon By KLM Fashion mall is here to get you running. 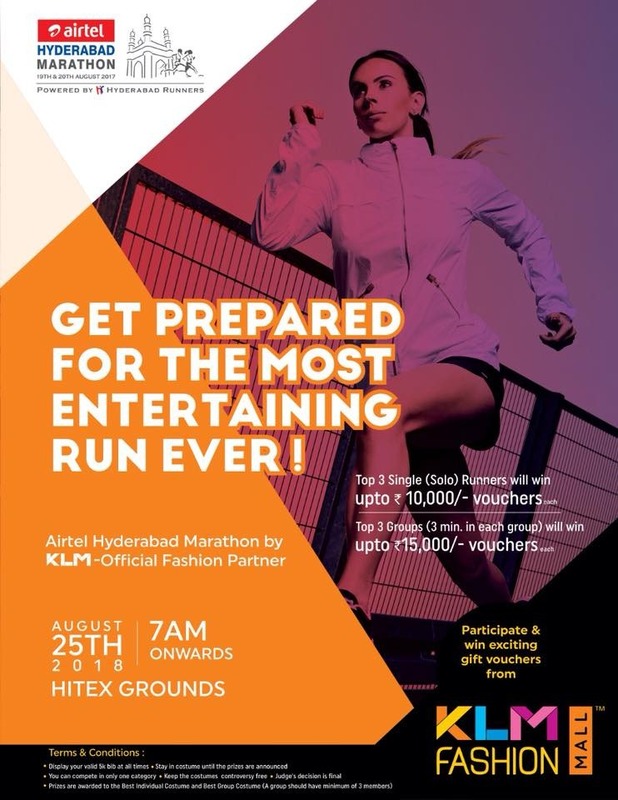 DATE- 25th AUGUST 2018, VENUE- HITEX GROUNDS, TIME- 7AM ONWARDS. 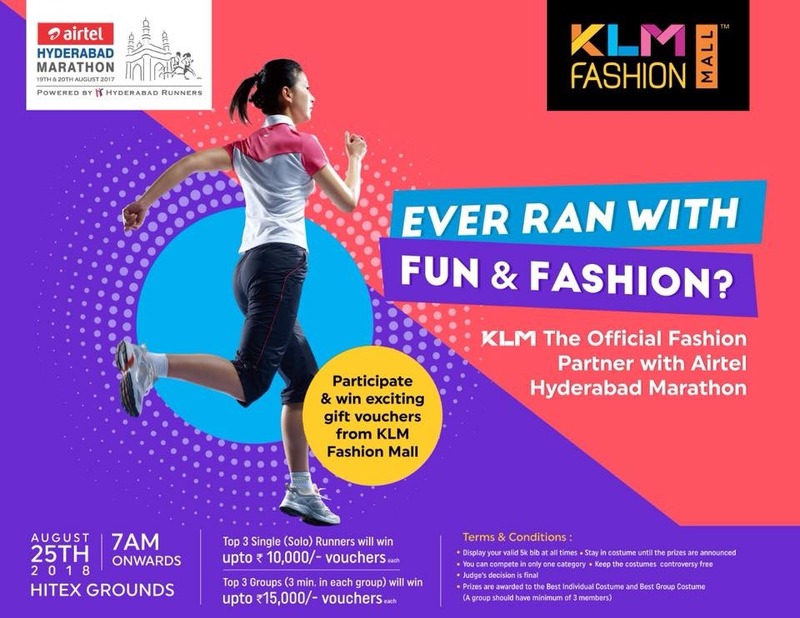 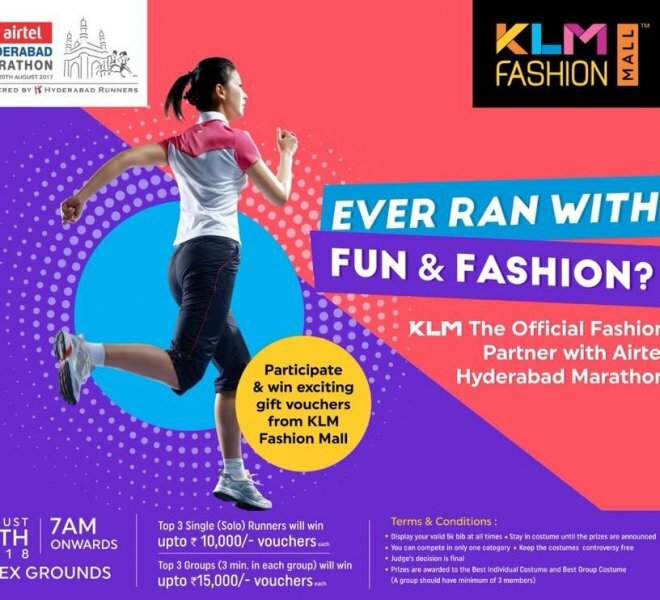 Participate & win exciting gift vouchers from KLM FASHION MALL Prizes: Top 3 solo runners will win 10000/-voucher each. 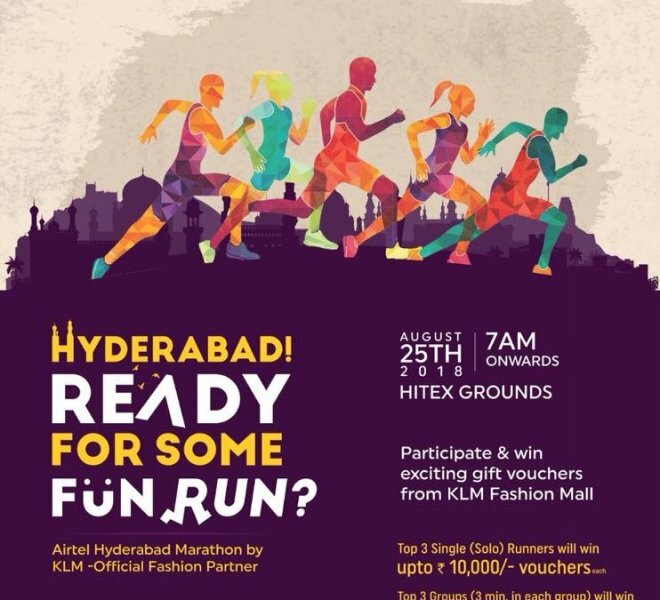 Top 3 groups will win 15000/-vouchers each.